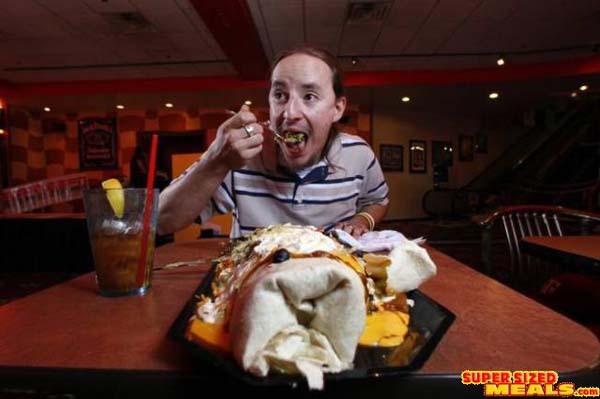 Steven Miller, 25, of Houston, TX, attempts to conquer the B3 Burrito, a massive six-pound, 24 inch burrito, at the NASCAR Cafe in the Sahara Friday, June 19, 2009. 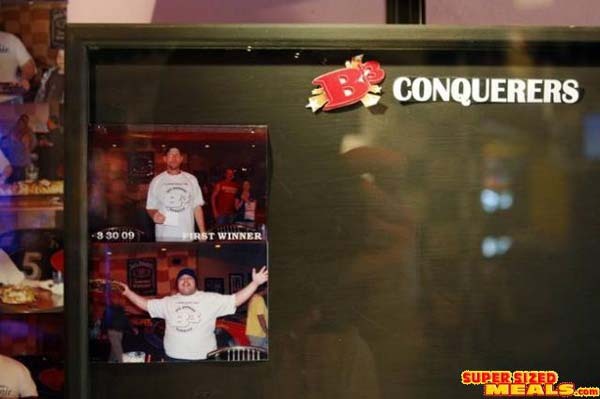 Many have tried to eat it, few have succeeded. 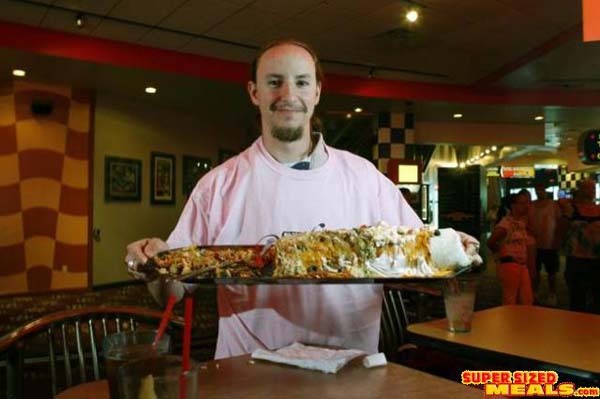 Steven Miller, 25, of Houston, TX, poses after eating about one third of the B3 Burrito, a massive six-pound, 24 inch burrito, at the NASCAR Cafe in the Sahara Friday, June 19, 2009. 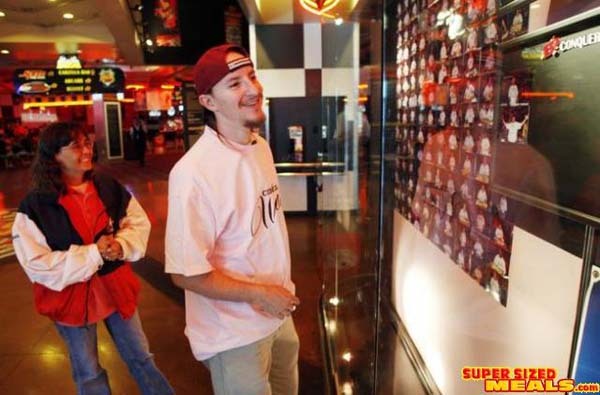 Steven Miller, 25, of Houston, TX, looks over the "Wall of Shame" after he failed to eat the B3 Burrito, a massive six-pound, 24 inch burrito, at the NASCAR Cafe in the Sahara Friday, June 19, 2009. Bowling teammate Mary Maierhofer is at left. 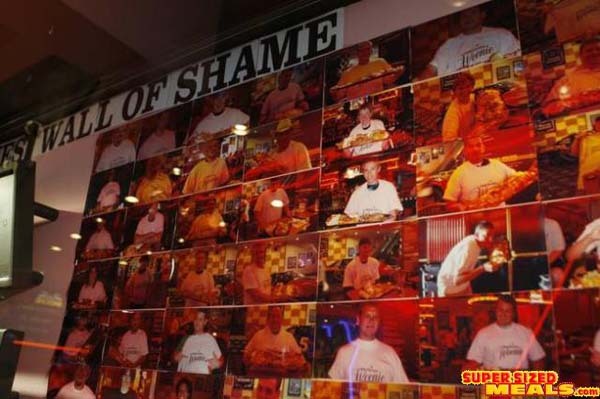 A "Wall of Shame" shows photos of people who have tried but failed to eat the B3 Burrito, a massive six-pound, 24 inch burrito, at the NASCAR Cafe in the Sahara Friday, June 19, 2009. 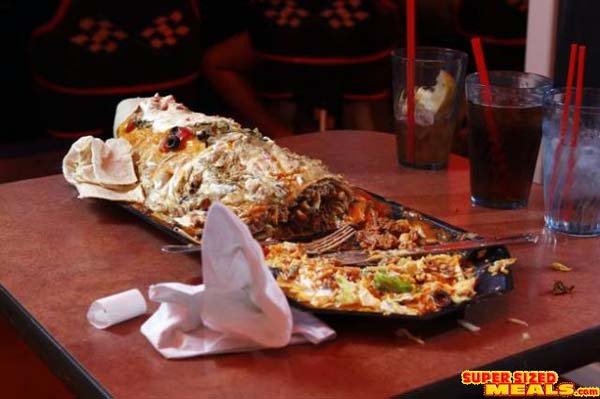 Steven Miller, 25, of Houston, TX, manage to eat about one third of the B3 Burrito, a massive six-pound, 24 inch burrito, at the NASCAR Cafe in the Sahara Friday, June 19, 2009. 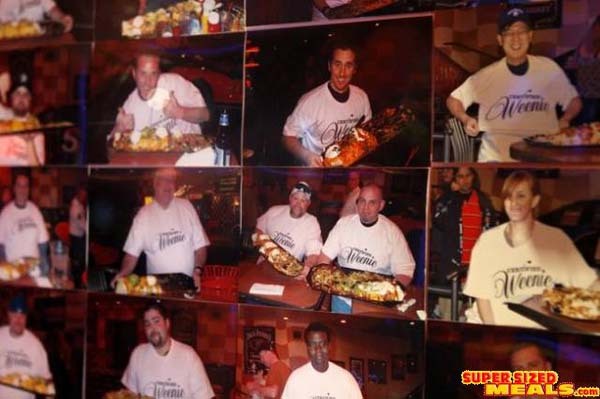 A photo wall highlights two of the four people who have eaten the B3 Burrito, a massive six-pound, 24 inch burrito, at the NASCAR Cafe in the Sahara Friday, June 19, 2009.